Orenchi no Furo Jijou, also known as Orefuro, is a comedy anime series based on Itokichi’s original manga. As the story is still ongoing (since 2011), the show will adapt only a part of it, but everything looks almost too promising for the otaku who enjoy good-looking guys, funny moments and…mermen. Orefuro begins on 6th October 2014! 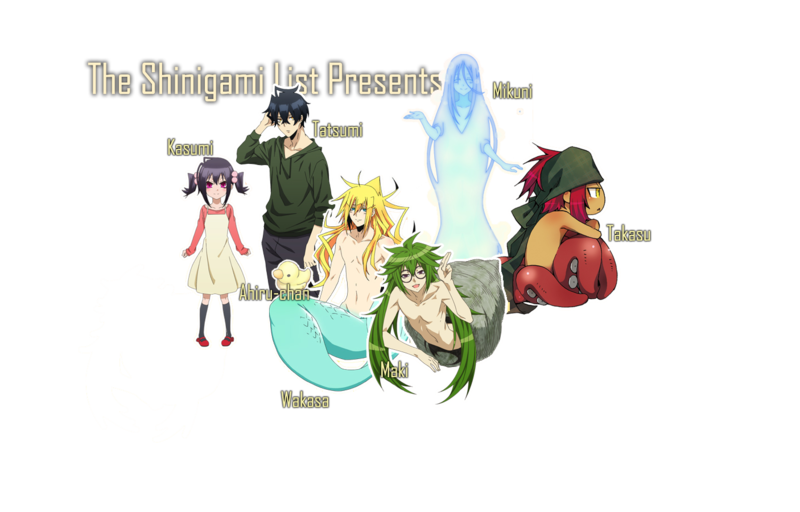 The story revolves around Tatsumi, a normal high school student who one day accepts an odd guest to his house. His new roommate is actually a pretty merman named Wakasa. 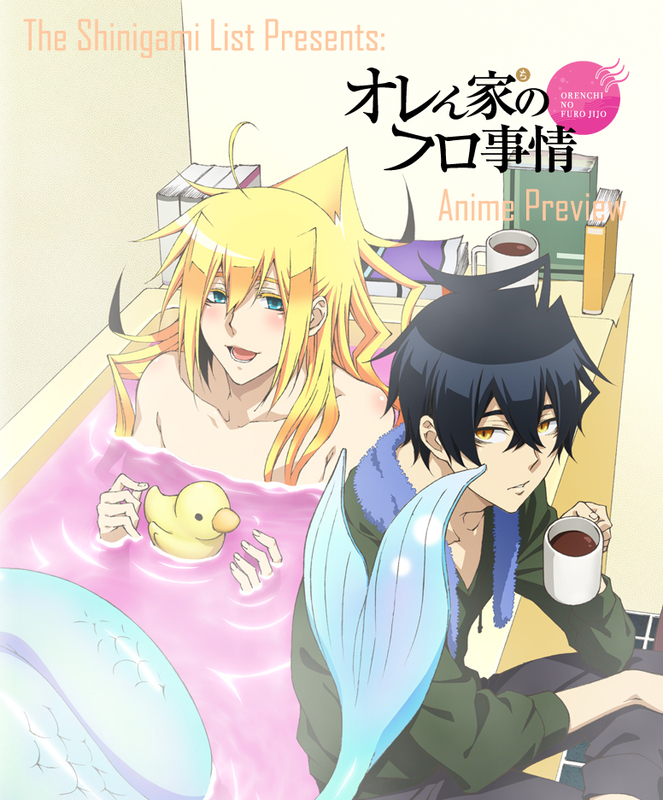 Starting from the moment Wakasa enters Tatsumi’s life and starts living in his bathtub, the high school student’s entire world changes and becomes a chaotically entertaining mix of supernatural beings and beauty. click to see them better! High school student and the host of the house. He loves doing housework such as cooking and enjoys carefree living alone at home, although it won’t be for long. He was picked up by Tatsumi and brought to the house. He is a handsome merman and loves having seemingly useless conversations. She is Tatsumi’s younger sister and dislikes Wakasa. She is a beautiful jellyfish existence that appears from time to time at Tatsumi’s home. Her body is 99% water. He is a male humanoid conch. He has a quiet personality, although he has his extreme negative opinions. He suffers from near-sightedness. Is an octopus that comes by Tatsumi’s occasionally. He seems to be on bad terms with Wakasa. His special skill is massages. This is a typical rubber duck that almost all households in Japan own. It is the show’s narrator. That merman reminds me of Baka of Level E.
Lots of visual similarities, for sure! And Baka ouji also invaded a human’s house and life. You’re very right. That would be very fun!